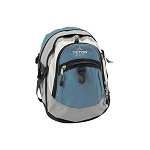 Discontinued Sorry, Try 192Por our otherTETON Sports backpacks. This Professional Backpack is very high quality and also very stylish. Impress your friends at school or your coworkers with it's sleek design. 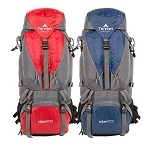 Featuringhandysidezip pockets, two full-length compartments, and a frontpocket with a removable organizer, this backpack provides great value for your money. It's large wide compartment easilyfits a 17" laptop along with other necessary supplies. The heavy duty easy-glide zippers wont snag or split, meaning you won't get stranded while frantically trying to close up your backpack. With a reinforcedbase, rigid foam back paneland sturdy grabhandle will protect yourcomputer from damage, while making packing up easy, even when fully loaded.The accessory pouch and sunglass loops on the padded shoulder straps mean that you can keep your most important supplies readilyaccessible. 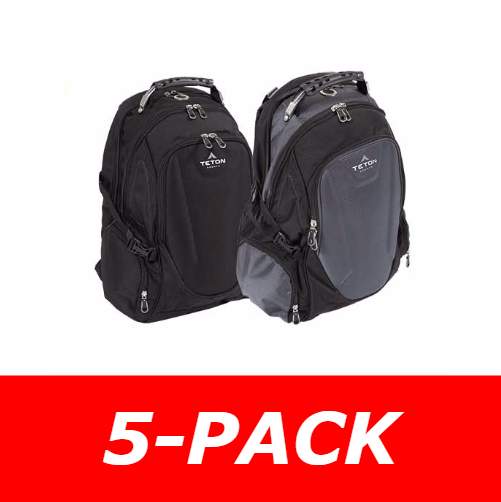 Also included are a pair ofthumb rings allowing easy adjustment and a useful handhold when walking.Available in black or silver, this attractivetraveltech backpack well last well with repeated use and provides useful storage for your items. 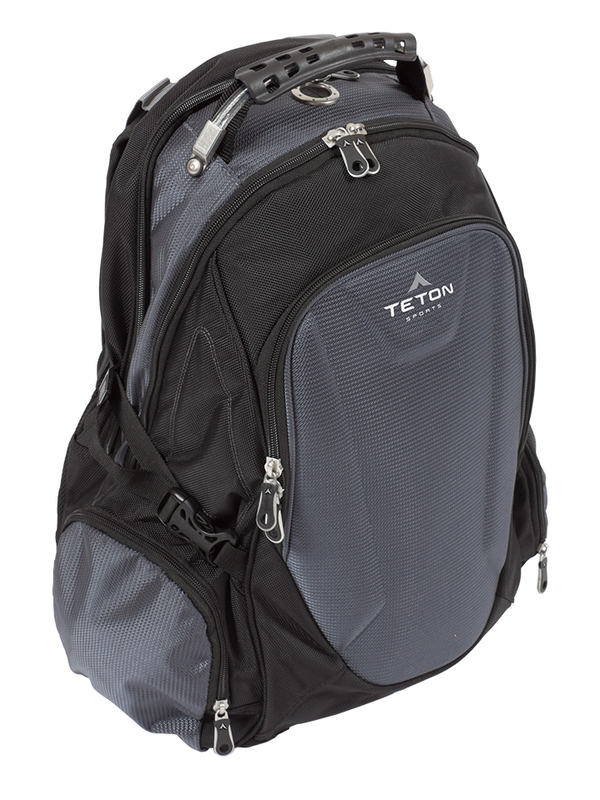 Features 5 exterior gear pockets, making it easier to access your supplies. With a reinforced carry handle, you don't need to worry about your laptop dropping. The wide front pocket is almost 20" deep, meaning you can slide in a laptop, notebooks, and files with ease. 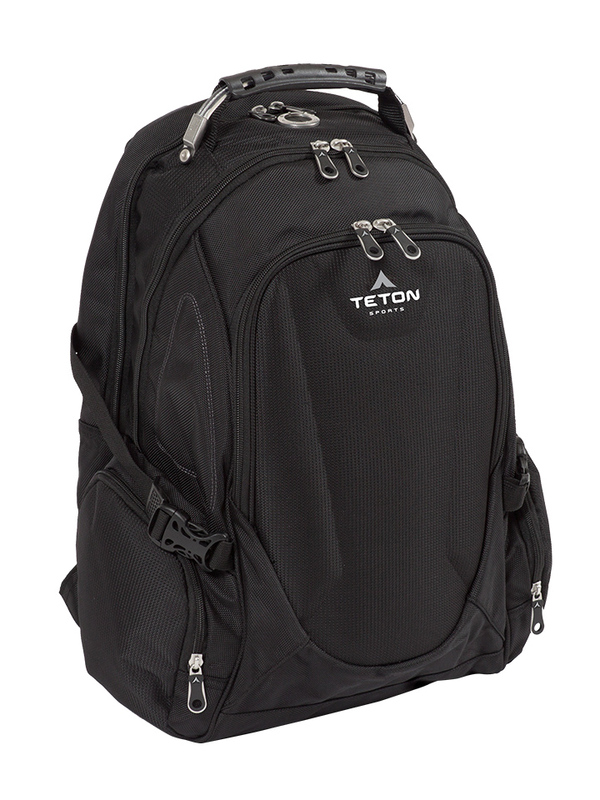 Featuring 2000 cubic inches of storage space, this backpack will carry whatever you need. 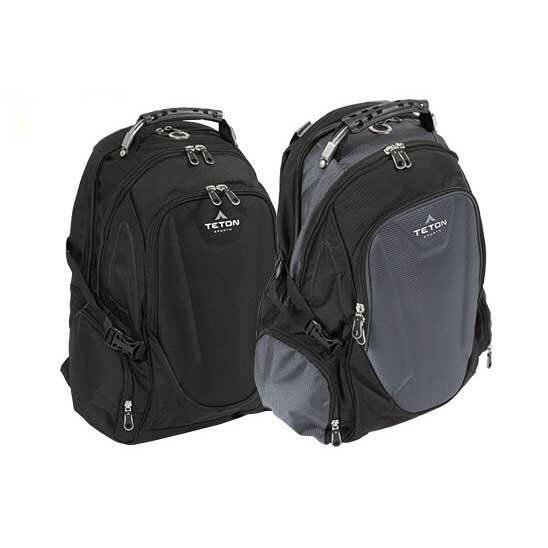 Rigid foam lines the back and undersides of the carry straps, providing much needed comfort. Using the side pockets you can place your wallet, keys and other items where you can easily reach them. Size 21" x 15" x 11"
A: Sorry, this is completely sold out, We would recommend on of the Was this answer helpful? 0 of 0 Customer(s) found this Answer helpful. Q: Is this in stock? A: Unfortunately this has been discontinued. 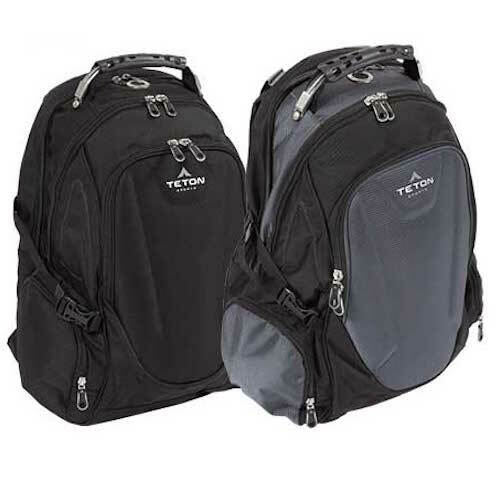 Fast Shipping: Orders for the TETON Sports 191 Professional Business Tech Backpack generally leave the warehouse the same business day if ordered in the A.M. These ship Fedex Ground, and delivery times vary by location. Delivery typically takes 2-5 days, call for more exact estimates. Faster shipping is available. Dimensions: 21" x 15" x 5"